Would you like to protect your LG K8 2017 with style? Then you've come to the right place! 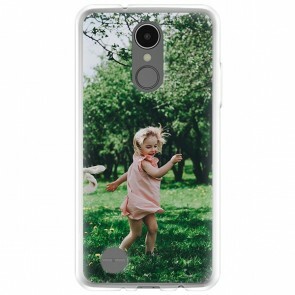 With us here at YourCustomphonecase.com, you can design your own custom LG K8 2017 cover for yourself. All cases offer good protection for your cell phone. Of course, our phone cases offer much more than just protection; by making a personalized case, you can show your style to the entire world. Our customizer is very user-friendly, and so you can put pretty much whatever you want on the case - your wedding, your dog, your favorite cartoon character! The possibilities are pretty endless. Start designing your own custom LG K8 2017 case and show off your personal style now!